The Borderfields story began in Northumberland in 2005, when local farmers co-operative from either side of the Scottish Border came together to create a premium cold pressed rapeseed oil from their crops. Production of a high quality, simple, tasty product was their collective aim and with this, Borderfields was born. It soon became very apparent that cold pressed rapeseed oil was a sought after, new kitchen “must have” and sales into national retailers began the next year when Borderfields became the first national brand with a national listing. Much has changed over the ten years but producing the best quality, most widely available product remains as one of our key virtues. With growth came new challenges and in 2009 the production facility was moved to Nottinghamshire where the infrastructure to support the growing brand and sector was developed. With Hammond Food Oils came new growers keen to support the virtues of the brand. Traditional farming families from Nottinghamshire and Lincolnshire joined with the growers from the North East to produce the best seed quality to drive the best tasting product. Borderfields has a family of farms to draw seed from which has aided business growth. Having a wide geographical spread, at times of poor weather and difficult growing conditions, really does give more assurances. Whatever the weather we guarantee Borderfields quality remains the same! 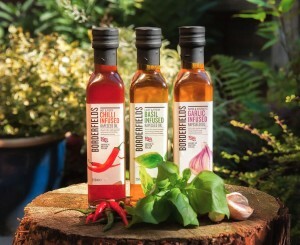 In 2012 Borderfields launched its infusions range in and its innovative Stir Fry Oil followed in 2015. There are a raft of further new products planned for the years ahead, all using the deliciously nutty and buttery brand that’s at the heart if it all, Borderfields Cold Pressed Rapeseed Oil. Available at stores right across the UK, Borderfields is a beacon of quality and consistency in a sea of variability. 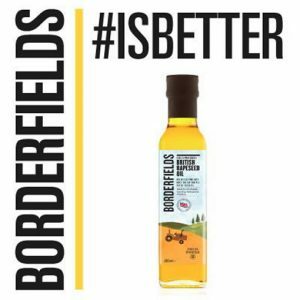 Borderfields is now embarking on its boldest phase of development yet, unveiling the Borderfields #IsBetter promotional campaign, designed to help consumers understand more about the benefits of cold pressed rapeseed oil and Borderfields in particular. From the very start, the business was determined to do things differently, championing quality by choosing only the best culinary varieties of rapeseed, to guarantee a consistently lovely flavour for Borderfields. 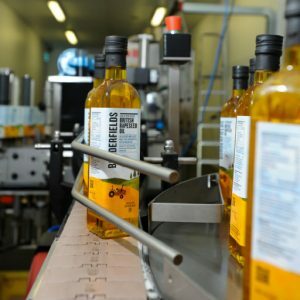 In the intervening years since 2005, this attention to quality has helped the brand go from strength to strength to become the number one cold pressed rapeseed oil in the UK.